How and when are they collected? A truffle is a fungus, which has the particularity that breeds its fructifying bodies buried down in the ground, unlike most fungi which breed on the surface (everyone knows or has seen a mushroom). 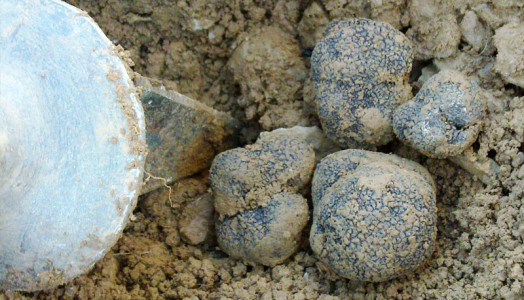 Truffles grow then buried in the ground, usually between 5 and 20 cm deep. To survive, this fungus needs to merge with the roots of certain trees (mostly oaks and holm oak, but can also do it with hazelnut trees and kermes oak). The truffle is a completely natural, exquisite product, greatly valued in haute cuisine, but it can be also enjoyed with minimal kitchen preparation in any home. Brillat-Savarin, the famous French gastronome and writer, called it the kitchen’s black diamond. 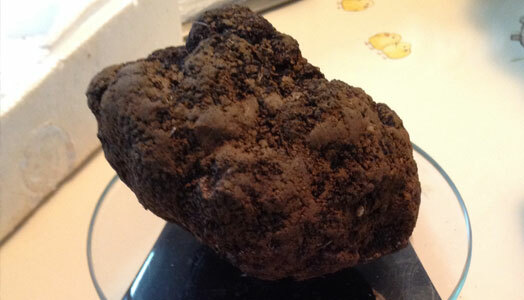 There are many types of truffles, but the most precious of them all is the black winter truffle (Tuber melanosporum). Also commonly known as the Perigord truffle, because it’s in France where, historically, truffles have been the most appreciated. It is useful to know that there is no difference between the Spanish, French or Italian Tuber melanosporum. 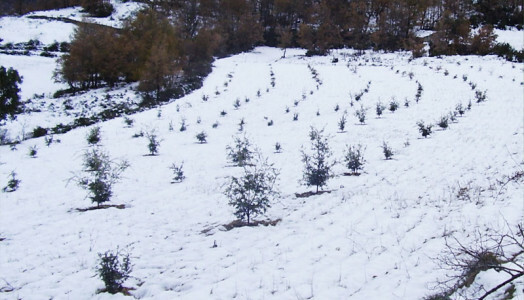 Most Spanish fresh truffles are sold to France, where is sold as black truffle of Périgord. 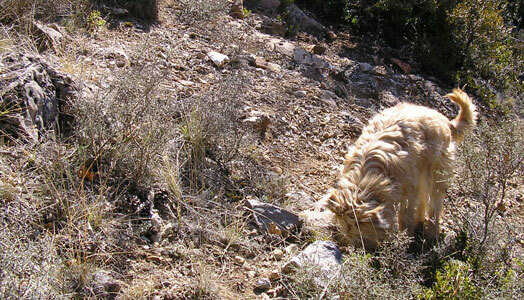 Truffles grow underground, which is why we need specially trained animals in order to find them. They can be detected by their distinct scent. Formerly, pigs were used, although these days the most common method to find truffles is using the dogs’ sharp sense of smell. 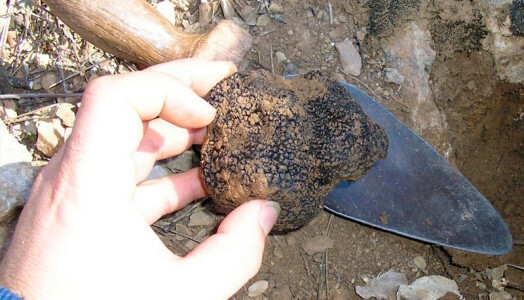 Dogs locate the site where truffles can be found by their aroma, and start digging with their paws in order to ‘mark’ the very exact spot where the truffle is. The “truffle man” then recollects the precious fruit. At this time, it is still possible try to grow black truffles by planting trees mycorrhizal with Tuber melanosporum (oaks). These trees which, freshly sprouted from the acorn, are inoculated with truffle spores in their roots, leading to the formation of so-called “mycorrhizae”. These trees, if planted in the adequate soil, and throughout appropriate care and cultivation techniques, can start producing our precious fruit after 8-12 years. The fresh truffle is kept chilled around 10-15 days (sometimes more, depending on how mature it is). In order to properly preserve it, we should use an airtight container with a base of paper towels in order to absorb the condensation-formed moisture. It is also convenient to change the paper regularly.